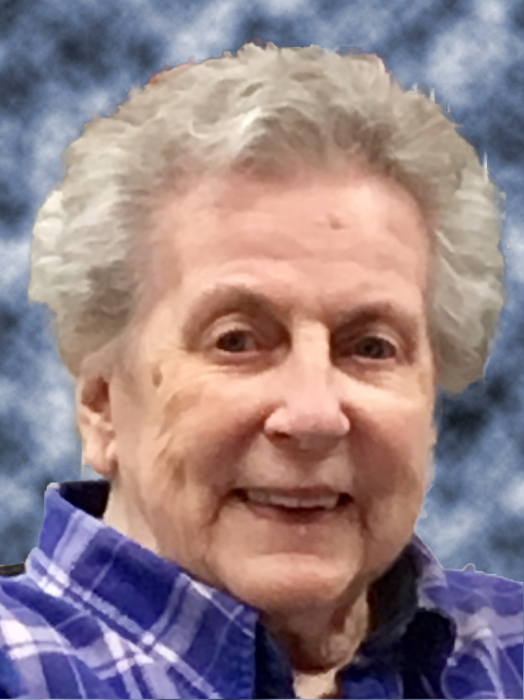 Rita Rose (Phillips) Bengtson, 90, of Breckenridge, MN, passed away peacefully in her residence, on Wednesday, October 10, 2018. The funeral will be at 1:00 PM, Saturday, November 10, at the United Methodist Church in Breckenridge, with a visitation one hour prior to the service. The interment will be at Riverside Cemetery in Breckenridge following the service. Rita was born September 13, 1928, to Russell and Ora (McCoy) Phillips in Effingham, Illinois. Soon after her birth, the family moved to Canby, MN. She graduated from Canby High School and attended Mankato State College, majoring in music education. Rita married Oscar Bengtson on November 19, 1948. The couple farmed for several years in the Canby area. Oscar then began working for Otter Tail Power Company, after which the family moved to Canby. In 1962, the family moved to Breckenridge, MN. Rita worked as a legal secretary for the law firm of Korbel & Gospodar, and later worked in the Wilkin County Recorder’s Office until her retirement in 1993. Rita was devoted to her family and active in church, community, and her children’s schools in Canby and Breckenridge. She was active in 4H and Boy Scouts with her children and taught Sunday school. She provided loving care for her son Larry until 2011 when her health required that he move to the West Central group home. Rita loved music and was a talented soprano who performed with the United Methodist Church Choir and the Community Choir, often as a soloist. She directed the junior choir at the church and also performed in the local community Bell Choir. She enjoyed listening to classical, swing and folk music. Rita was an avid bowler, loved dancing, and enjoyed sports, cheering on the Breckenridge Cowboys/Cowgirls, Twins, Legion baseball, NDSU Bison and the WNBA Lynx. She enjoyed traveling with Larry to many places visiting with family. She was a bird lover and enjoyed seeing all the birds that visited the feeders in her yard. She loved her cats and, not to discriminate, kept treats on hand for the neighbor’s dog. She was most of all proud of working with her husband Oscar and other parents to successfully lobby Minnesota state and local government for special education and community living resources for the disabled. Rita’s endearing charm touched people in a special way. Always showing genuine concern and interest in others, she inspired love and affection. She had a quiet sense of humor that could catch people off guard, and a special smile that lit up the room. As an only child, she valued her relationships with her cousins and Oscar’s family; nephews and nieces. She was a devoted and caring daughter, wife, mother, aunt, grandmother, great-grandmother, neighbor and friend who will be deeply missed and lovingly remembered. Rita is survived by her son, Robert (Linda Newton) Bengtson, Honolulu, HI and their children, Justin (Miranda) Bengtson, Stacy (Jeremy Rios) Bengtson, Rachel Bengtson; her two daughters, Melanie Bengtson of Oak Harbor, Washington; and Kathryn (John) Shriver of Buffalo, MN; two great-grandchildren, Isaac Borrelli and Olivia Bengtson; and many beloved nieces and nephews. Rita is preceded in death by her husband Oscar Bengtson, parents, Russell and Ora Phillips; son, Larry Bengtson; Oscar’s parents, Nels and Anna Bengtson; Oscar’s brother, Harry Bengtson, and sisters and their husbands, Margaret (William) Smith, Alice (Wallace) Anderson, Karen (John) Lair, and Ann (Loyd) Miller. The Bengtson family wishes to express their gratitude to CHI Hospice. Joseph Vertin & Sons Funeral Home has been entrusted with Rita’s care. Obituary as submitted by Rita's family. There's still time to send flowers to the Visitation at the United Methodist Church from 12:00 PM to 1:00 PM on November 10, 2018.